My mom asked me to set up a table at our churches annual Deacon & Widows Banquet. This is a special night for the current deacon's and their wives to honor the widows and widowers at our church. 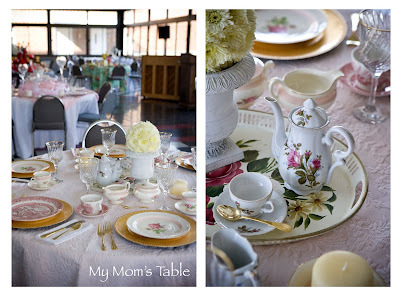 I had a great time coming up with the theme and of course my china was perfect!! 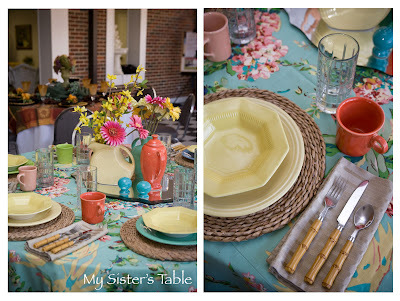 My mom and my sister's tables were also really great, don't you think? Thank you..I was very very happy with it!! oh my gosh! These are awesome! Can we be friends? smile. And the wedding season begins!